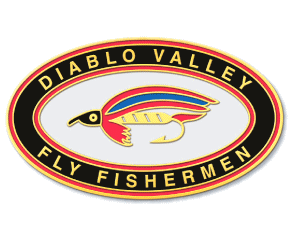 The Diablo Valley Fly Fishermen (DVFF), in conjunction with Project Healing Waters Fly Fishing Inc. (PHWFF) and the Northern California VA Medical Facility in Martinez, Calif., formed a Southwest Region PHWFF program to support local disabled veterans. A Memorandum of Agreement (MOA) was signed with PHWFF in late 2010 and the program started with Martinez VA Outpatient Clinic in 2011. Very simply the mission of the PHWFF-Martinez, CA program is to help in the rehabilitation, both physical and mental, of disabled veterans served by the Martinez VA Outpatient Clinic in Martinez, Calif. This includes veterans from all conflicts going back to Viet Nam and the more recent conflicts of Iraq and Afghanistan. Our volunteers aid the rehabilitation process of these veterans through all things associated with fly fishing, including but not limited to fly fishing indoctrination, fly casting, fly tying, rod building, entomology, and most importantly – taking these skills and going on outings. More details about PHWFF’s mission can be found on the PHWFF website. 1. A sustainable cadre of disabled veterans interested in fly fishing. All of these elements require continued attention to make them work. Volunteers. The desire to work with veterans – good humor, good “fish tales”, and patience – are prime qualities that are needed. We are definitely in need of fly tyers, and casters. Fly Tying: Need fly tying vises and tools. Have plenty of tying materials. Fly Casting: If you have a serviceable rod and/or reel you are willing to donate, they will find a good home. Gear: Waders that do not leak. Funding. One of the core principles of PHWFF is that veterans pay nothing – or very very little in some rare cases. That means all fly fishing/fly tying/rod building equipment, classes, and special events including outings are free to the vets. PHWFF at the national level provides some financial support that will cover basic elements, primarily equipment items. 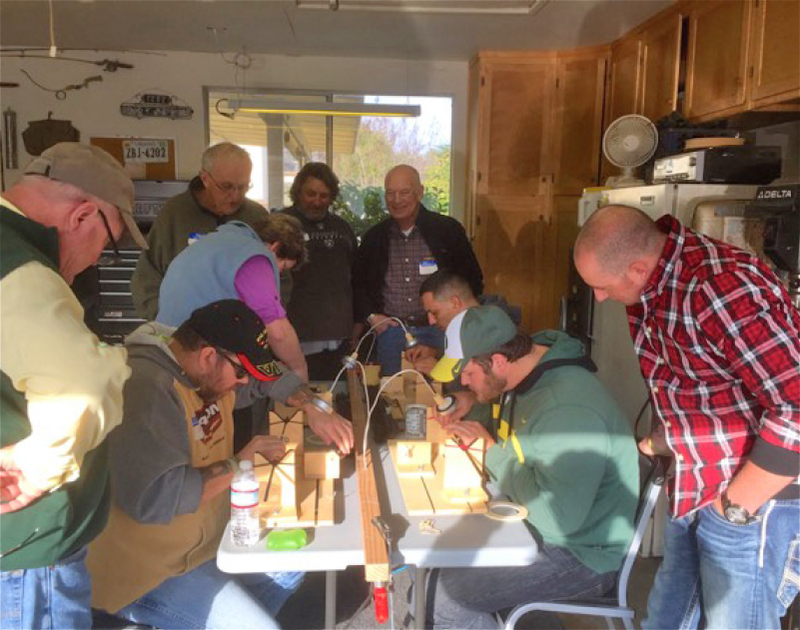 While the activities of fly casting, fly tying, and rod building provide significant therapy to disabled vets, it is the outings which really capture the vet’s interest in the sport of fly fishing and its potential for long-term rehabilitation. Outings also represent the largest outlay of funds and are why we require a concentrated locally based funding approach to be effective. The DVFF raises funds through donations and fundraising events, and has contributed to the growth of the local program. DVFF Volunteers meet with veterans on a regular basis, normally twice a month: the first and third Thursday of every month in the early afternoon. Home base for most of our local activities is at the Center for Integrated Brain Health and Wellness, Building 23 at the Martinez VA Outpatient Clinic, 150 Muir Road, Martinez. There are times when we will go somewhere for casting practice (Heather Farms, Oakland Casting Ponds), or other activities. At the beginning of each year we are normally involved in rod building from mid-January to early April, and these are held off-site at a designated location. In addition, we go on outings which will be publicized well in advance. The scheduled activities for PHWFF-Martinez will be posted on the club's regular Calendar of Events. From time to time PHWFF-Martinez will have special events that may be of interest to all members. A link to any of these events will be placed on this webpage and/or on the club calendar.